What are your TV traditions during this holiday? The parades, football? Well this week we have a whole lineup of doggy delights on television that you should check out! 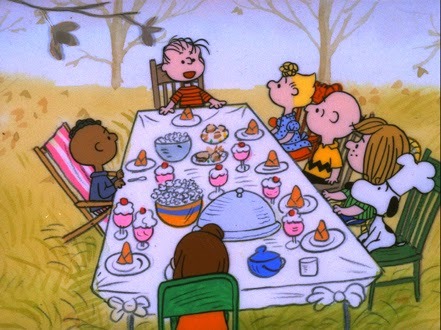 Charlie Brown Thanksgiving -- It's not a holiday without Snoopy, Charlie Brown and the gang. This time around Peppermint Patty and Marcie join the group when Patty invites herself over the ol' Chuck's place for a Thanksgiving dinner Charlie Brown didn't even know he was throwing! The National Dog Show presented by Purina -- the Kennel Club of Philadelphia's annual show featuring John O'Hurley, David Frei and over 150 dogs! Can't see it at noon on Thanksgiving? It airs again Saturday at 8 p.m. on NBC. Fox's Cause for Paws: An All-Star Dog Spectacular -- A celebrity-filled tribute to inspiring dog stories. Among the dogs we'll see: five Beagle Freedom Project alums strutting their stuff on stage, including Percival and author Teresa Rhyne. But it's also a chance to find a home for dogs who need families. Find out more on the Cause for Paws Facebook page. One Christmas Eve -- Are you ready for a Christmas movie? You may not be, but at least this one features a beagle! One Christmas Eve is about a newly-single mom who wants to give her kids an extra special Christmas. 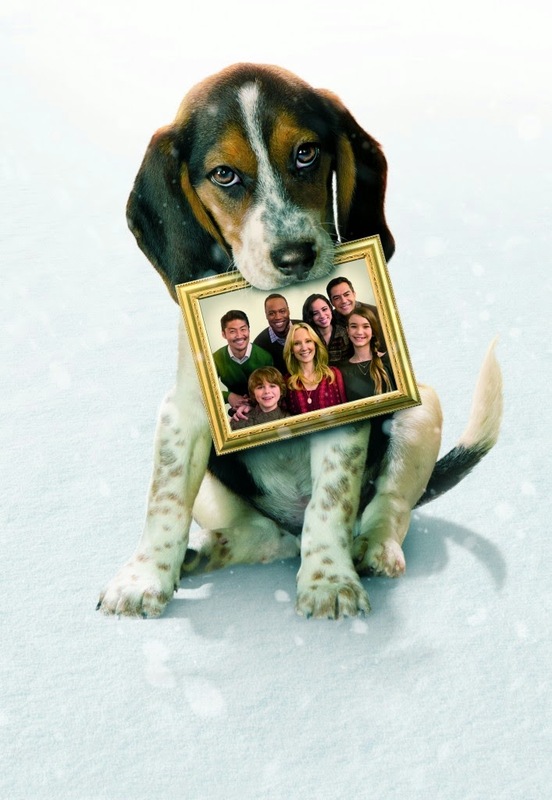 But the discovery of an abandoned beagle starts a chain of crazy events. But it's the Hallmark Channel, so you know everything works out in the end, right? Right?! Learn more about the movie on the Hallmark Channel website. What are you most looking forward to this Thanksgiving week? The food, the family time, the shopping? This is a post for Orlando's BIG Exchange Blog-Along to find a solution to an issue here in Central Florida. Every year, around 20,000 dogs and cats enter Orange County Animal Services in Orlando. And every year, almost 10,000 are euthanized. About half. There are lots of reasons pets end up in shelters. But if you've ever walked through a kennel and looked at each of the cards, what will break your heart is how many were surrendered because their owner couldn't take care of them -- either they had to move or the pet had health problems or the owner simply couldn't afford it anymore. I'll never forget the times I've watched people walk out of a shelter crying because they had to surrender their pet. Lulu was one of those. Her owners were moving and couldn't take her with them (no pets allowed). She was only six months old. 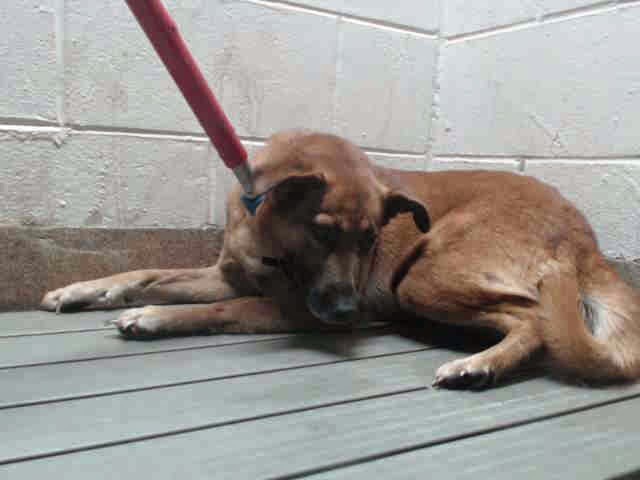 Fortunately she was also at Pet Alliance of Greater Orlando, which is almost a no-kill shelter. The dogs and cats surrendered to Orange County Animal Services are not as lucky. The Metro Orlando area remains one of the top in the country for foreclosure. How many people are still forced to leave their homes and have to give up their pet? But I think we in Orlando can find a way to keep more pets with their families. It is much cheaper for the county if these pets stay with their families than if the shelter has to care for them. 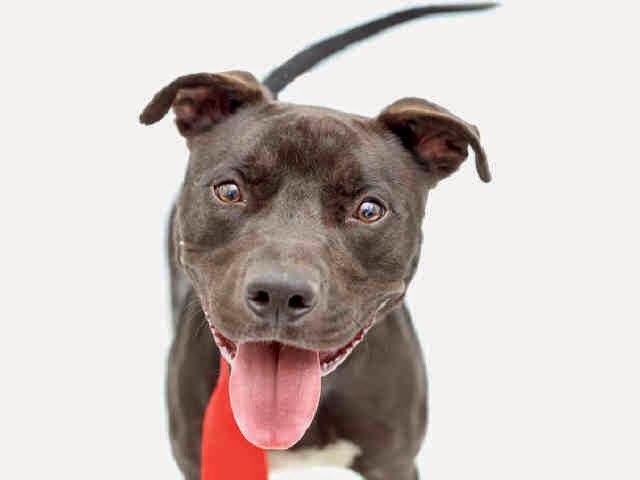 Chyna (A305742) is a year old and at Orange County Animal Services. "Life can throw surprises at you," said Dil Luther, division manager of Orange County Animal Services. "Anyone can be caught off guard by unexpected expenses like car or health issues and we do not want financial struggles to separate a pet from a loving family." But while we have some scattered efforts to help with spaying and neutering, micro-chipping and even food, we don't have a dedicated fund to help people better afford their dogs. My suggestion is modeled after Florida's Tax Credit Scholarship Program for students. In exchange for county tax credits, Orange County-based businesses donate to the fund, which is run by the county. Money in the fund is split up into three categories: home assistance, medical assistance and behavioral assistance. Residents (and they must be full-time Orange County residents) then apply for a one-time grant for one of those three categories. Home assistance can be used to pay for pet deposits and pet rent, a growing expense in the apartment rental world. Medical assistance can be used to pay for extraordinary veterinary bills (not for routine office visits). The fund can work with a choice group of vets to reduce the cost of those services (Pet Alliance of Greater Orlando has a clinic that provides reduced services). Behavioral assistance allows pet parents to get financial help to pay for a trainer/behaviorist for their pet. They must work off an already-vetted list of trainers/behaviorists that the county has. This fund should not affect the overall budget for Orange County Animal Services. Luna (A305889) is 3 years old and at Orange County Animal Services. In addition, the county should also offer tax credits to landlords and apartment complexes who reduce the cost of pet deposits and pet rent to make it more affordable for residents. Pet rent and a rise in pet deposits is a growing problem for apartment renters in the U.S. Some apartment managers say they need the safety net against pet damage, but according to a recent CBS News.com article, some managers say they charge it because they can. Pet deposits in Orlando can run from $250 to $500, and in some cases are charged per pet. By reducing pet deposits, not only will it help people trying to keep their pets, but it might encourage people to adopt too. Dexter (A293832) is a year old and at Orange County Animal Services. But why stop there? Remember when I said there were scattered services for people who need help caring for pets? Did you know about Orange County's pet food pantry? How about Pet Alliance of Greater Orlando's low-cost vet services, including spaying or neutering? Or Pet Alliance's Meals on Wheels for seniors program? Do people know these programs and others even exist? In city dog parks like Lake Baldwin Park in Winter Park and Sanford Paw Park, there are big community bulletin boards. In Orange County's parks, any bulletin boards are often not close to the dog parks. They're closer to bathrooms or playgrounds. I suggest using money from the parks and recreation budget to put up those bulletin boards immediately outside the parks and keep updated listings for this information and other events. People don't go to parks? Make it a point to put this info in the hands of those who can help -- vets offices, pet shops, apartment leasing offices, community centers, malls and more. Put it together in a new adopters packet and hand it to shelters and rescue groups to hand out. Hand it out at farmers markets, fairs and other events. This information needs to be easier to find. Scrappy (A220855) is 9 years old and is at Orange County Animal Services. By handling these issues, we can hope to keep pets out of shelters and in their homes. But those aren't the only pets we save. There's a saying in the animal rescue world that I will paraphrase here: Keeping a pet out of a shelter saves two pets: that pet, and the one who could be euthanized. 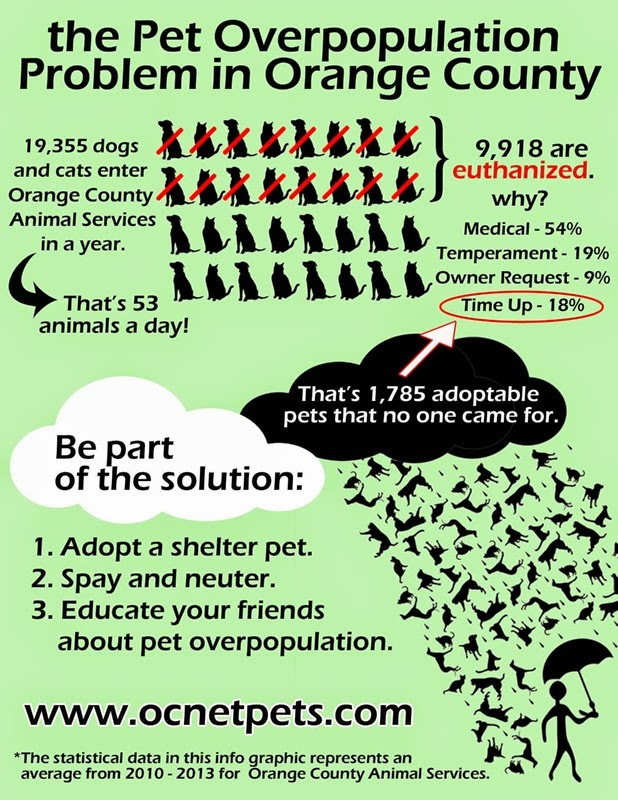 By reducing the shelter pet population, Orange County Animal Services can give more time to pets in the shelter who need a little extra help to get out. Before we start, I just want to get something out of the way. I am not judging anyone who needs to find a new home for their beagle. I am not trying to enable people who are looking for an easy way out of pet ownership. But the reality is every month I get at least one email from someone seeking help with finding a new home for a pet beagle. It's heartbreaking to read. Everyone has a reason for what they do. Is the problem a behavioral one? Not housetrained, or barking and going crazy when you leave? Or perhaps the dog is moody, even bitey? Have you contacted a trainer or a behaviorist in your area for help? Is the problem a medical one? Can you not afford the health costs associated with your dog's condition? Have you looked for a cheaper vet, or alternative care, or a group that can help you locally? Is the problem a cost one? Can you not afford the cost of owning a pet anymore? Have you looked into food pantries, or thrift stores or discount stores for needed supplies? There are other questions I could be asking: kid with allergies? Significant other says you have to get rid of the dog? Landlord says you have to get rid of the dog? These are not areas I am willing to get into because my responses probably will not be helpful and simply upset you in an already upsetting situation. So if your mind is made up, and you getting rid of your beagle, here are some dos and don'ts. 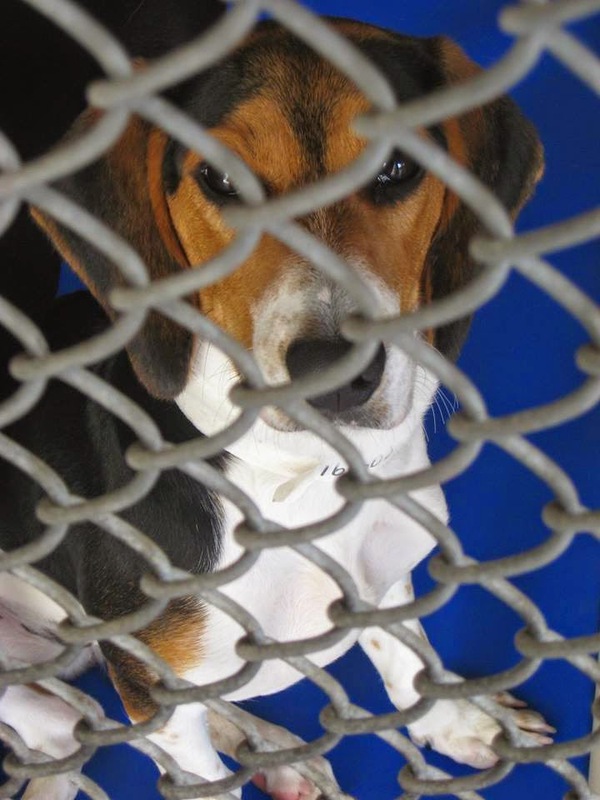 DON'T just drop your beagle off at your county/city pound. Many pounds will kill your pet, and if they are an owner surrender they may not get a waiting period before they're put down. That's not fair to any pet. Now in a place like Orlando where there aren't a lot of beagles in the pounds, the chances are good a beagle will be adopted or rescued, but don't take that chance without reason. The pound should always be a last resort, and always done with a bit of research. DO contact any shelters that use euthanasia as a last resort, or are "No-Kill." DON'T just put your beagle up on Craigslist. Lots of people put dogs up for sale or "free to a good home" on Craigslist. Even if you try to do background checks on the person taking your dog, there's no guarantee they aren't just going to flip the dog, or worse -- use it as dog fighting bait or just plain abuse it. DO talk to your vet. Vets can be very helpful in this regard, if only because they know lots of people who might be interested in taking a dog. DO contact your area rescues. Rescue groups have foster networks that might be able to take a beagle in. This won't always work though, especially if you have a pet with an illness that needs help. Also, some rescues may not have enough fosters to care for an owner surrender. Don't just look at breed-specific rescues either. Need to find the rescues in your area? 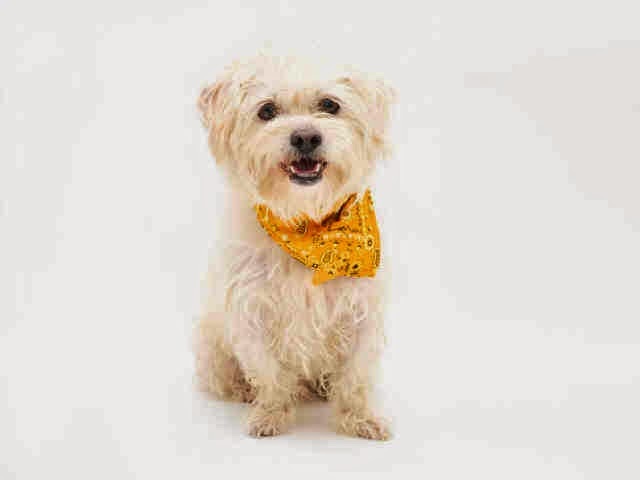 Look at Adopt a Pet or Petfinder. DO get on Facebook. 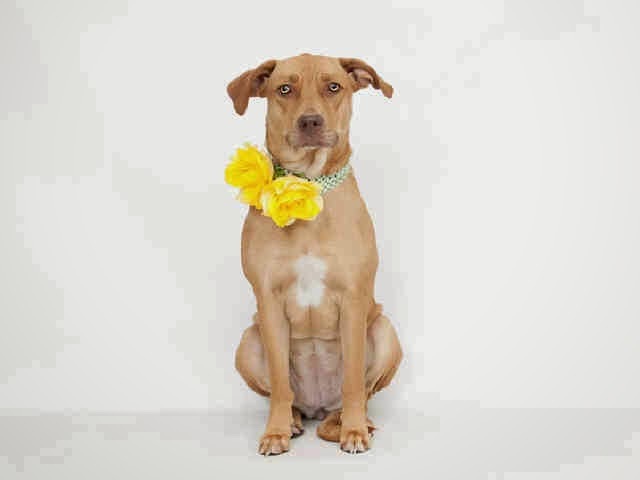 There are lots of Facebook groups out there for dog lovers, especially crosspost groups for pets that need homes. DO ask your friends. Friends and family may be more willing to help than you are aware. DON'T just set your pet loose outside. That's a good way to get them killed. As a rule, I don't personally post re-homing pets on my social media pages. It would open flood gates. But there are lots of people who do. You just have to find them. Lets have a serious discussion: how's your dog's poop? I am totally serious and I promise I will not illustrate this point with pictures. Your dog's poop says a lot about how well your dog is and how well your dog is eating. So when we're talking about digestion, what are some important things to know? 1) Your dog really shouldn't be pooping more than one or two times a day. 2) The poop should be firm -- not too hard, but you should be able to maybe touch it with your foot without squishing it (if you must test this, wear shoes). 3) Gas shouldn't be a major issue because of the food -- no burping, no farting (now if your dog eats too fast, that's another matter). 4) Color should be good -- no black flecks or red tinges. If you're seeing that, you should probably go to the vet. If Lulu is laying out for a while after eating, she probably ate too fast. To do this, you want good protein. You also want good fiber. Now fiber is broken down into two kinds (and this true for us humans too, so watch the nutritional info on your cereal boxes): insoluble and soluble fiber. In nutritional info on dog food bags though you will only see "crude fiber." That has nothing to do with the quality of fiber, only the quantity, so be sure to know your ingredients. Soluble fiber is dissolved in water, while insoluble fiber absorbs water. When it comes to digestion, you want both. Soluble fiber helps slow the movement of food though the system. Insoluble fiber takes in lots of liquid. Using either one can help prevent constipation or diarrhea (that's why you can give pumpkin to a dog to help when stool is soft). Insoluble fiber controls diarrhea and soft stool by absorbing moisture. Soluble fiber meanwhile ferments in the colon and helps repair the organ, thus helping to prevent colon cancer. Natural Balance Original Ultra Whole Body Health dog food uses several fibers, including oat and pea fibers (soluble fibers). There's also a number of vegetables in the ingredients, so it has layered fibers. And potatoes are insoluble fibers. Layered fibers help maintain digestive balance. No matter what food you get, you want to make sure that they have a good mix of insoluble and soluble fibers. Digestive health is one of the important things readers specified when it comes to pet health in the #WholeBodyHealth survey a couple months ago. Take a look at this infographic to see more results. Oh, and while we're on the subject -- scoop your poop! Don't leave it on the ground where it can seep into our water supply. 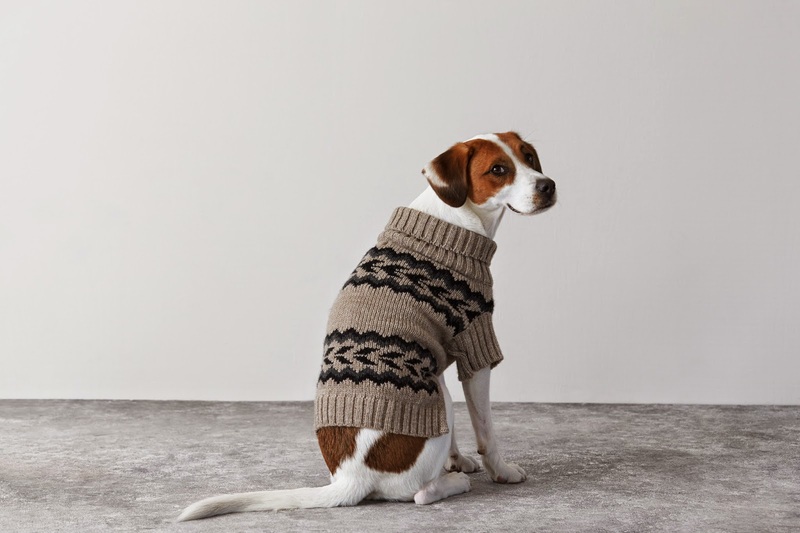 Rejoice doggy parents who dress up their pups: American Beagle Outfitters is real. You may remember that last April American Eagle Outfitters released a line of clothes for dogs called American Beagle. Well it was released on April Fools Day, and while the joke line helped raise $100,000 for ASPCA, the clothes were not real (in my personal opinion, thank God). 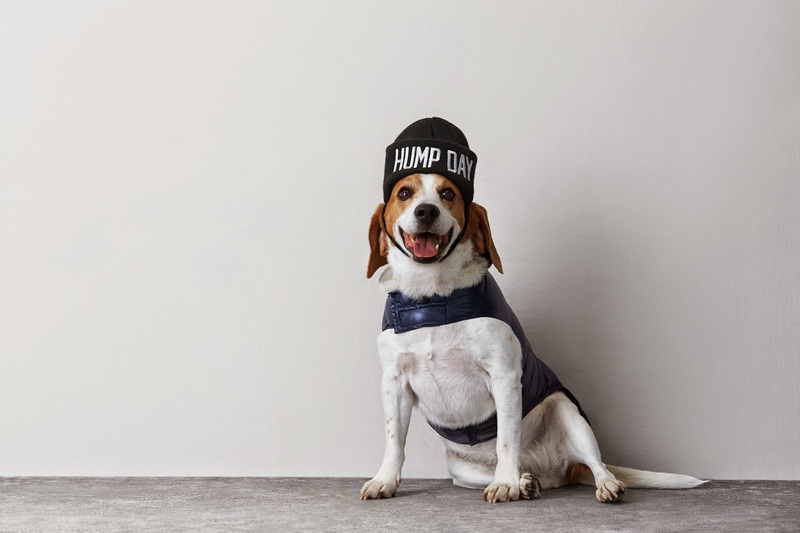 Considering the overwhelming demand, AEO decided to make American Beagle Outfitters for the fall. ABO is a selection of winter wear designed for dogs, including hats, sweaters and puffer (pupper) jackets. The pupper jackets come in three colors: red, navy blue and silver. They are quilted microfiber with velcro fastenings. They run about $39.95, and the biggest size they come in is large. I really like the sweaters, personally. It's full body, so it's more likely to keep a dog warm at the chest than the pupper is. A dog's heat escapes from the chest area. Unfortunately, the largest the sweater is made in is medium, which is disappointing, because I don't think the medium will fit Lulu. The sweater is also $39.95. Finally there are the hats -- right now there are only two on the ABO page, but there are four in the media kit American Eagle provided me, so maybe more is coming out. 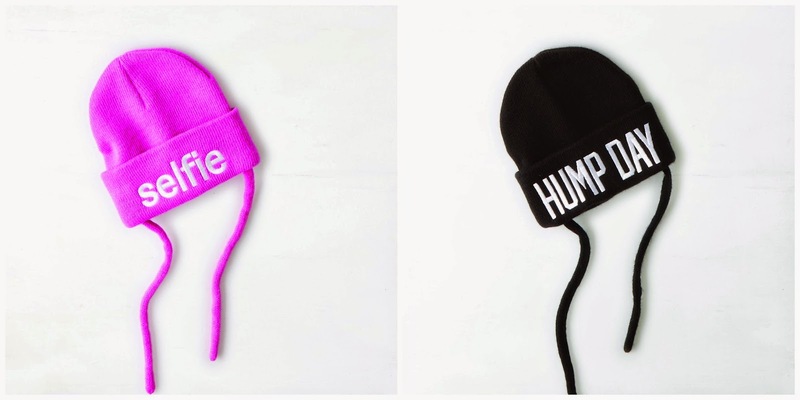 As you can see the hats are basically what AEO showed us back in April. They run $15.95 a hat. While the outfits are, for the most part, for style over substance, they do also match the fall line for humans -- so you and your pup can match. American Beagle Outfitters outfits are available at some stores, and also online. This past weekend Lulu and I got to hang out with some of our buddies at Barkworld 2014 in Atlanta. Every year bloggers, rescue groups and other pet parents come together, learn how to use their online knowledge to help pets and meet pet product companies too. But I like to go because ever since I started blogging I've met some great friends from all over the world. Some of them come to Barkworld every year! Here's some pics from our weekend at Barkworld! Lulu and her cousin Cappy. Lulu is nuts for the Ellis Bros. pecan farm in Georgia. We stop every year. Lulu tried some of the pumpkin latte from The Honest Kitchen. Lulu goes shopping at the Jones Natural Chews booth. And at the Zuke's Treats booth! The mancat, the myth, the legend... Waffles the cat! Waffles with his can: Mike's Harder "Mad Kitty Cocktail." Lulu all dressed up as Tinker Bell for the Halloween party. Lulu and Carma Poodale with Sarah. Niqqi with Emmy the Pet Sitter. The crew! Follow them all! And of course, Me and Lulu!